During the day you can enjoy the sun by the pool or enjoy the near by sandy beach of Anissaras. Nana Angela Apartments is a great choise for your family holidays in Crete ! Take a look at what our former guests had to say about their holiday experience at Indigo Mare Hotel. What a fantastic place to stay. We had a great week. Angela, Nikos, Manos and Georges are fabulous and do all they can to make your stay enjoyable. Traditional family run apartments with excellent service. Clean, tidy rooms, pool and bar areas. 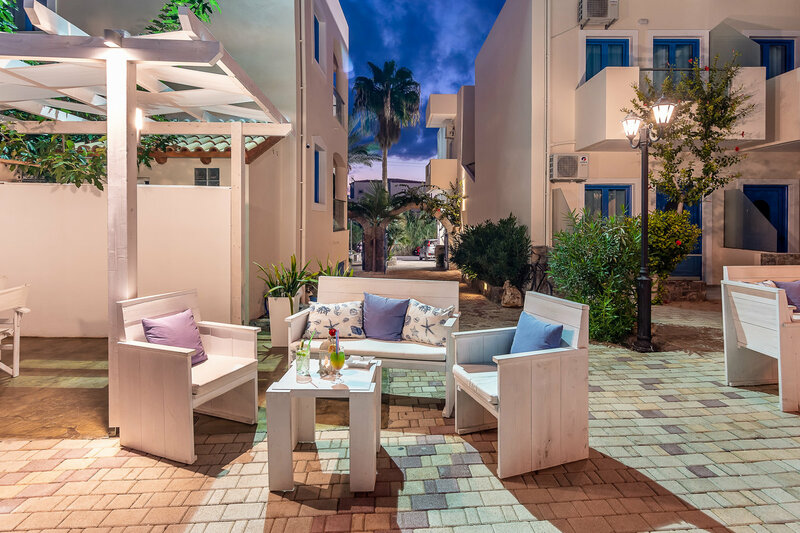 Located close to shops, beach and tavernas. Angela and her team work tirelessly to make sure that you have a fantastic holiday, Nothing is too much trouble. Rooms are functional and whilst not luxurious they are practical and fit for purpose.